NYC, 02/17/2019, 5:00PM. Tchaikovsky Competition Winner Performs Concertos by Beethoven and more. HaeSun Paik, piano; New York Classical Players (NYCP), Dongmin Kim, conductor. 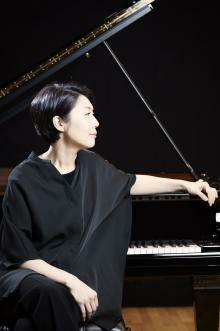 Pianist HaeSun Paik, who won the Third Prize at one of the most prestigious piano competition in the world - Tchaikovsky competition, has been hailed as a “sensitive and thinking musician first and an awesome technician second” (Los Angeles Times) with a “big and individual personality” (New York Times), whose performances are “a wonder — elastic, mercurial, charged with meaning, surprising” (Boston Globe) and “a rare example of technique actually serving both idea and feeling, head and heart” (Musical America). Having garnered top prizes at international piano competitions such as the Queen Elisabeth, Leeds, William Kapell, and the Tchaikovsky, Ms. Paik has performed concerts around the world in solo recitals, concerti with orchestras, and chamber music ensembles.